What social housing will Dublin City Council get from any big build-to-rent schemes that happen in the city? Will it get the usual 10 percent of homes from the bigger projects under what’s known as “Part V”? Independents 4 Change Councillor Pat Dunne asked at Monday’s full council meeting – pointing to plans by Durkan Limited for 265 build-to-rent apartments on the site of the former Dulux factory on Davitt Road in Dublin 12. They need to have a “clear position” on how the council will manage the “Part V” deals for those, he says. The council got 105 homes through Part V last year, figures show. Head of Housing Brendan Kenny said the council is entitled to Part V homes from build-to-rent blocks. But there’s a kicker: it looks like the council won’t own them as it does other Part V homes, he said. It’s unclear how many homes councils have leased rather than bought under legislation in recent years. Not so long ago, Tailors’ Hall, tucked on Back Lane in the Liberties, was a hub for traditional and folk music. Councillors at Monday’s monthly meeting agreed a motion from Sinn Féin Councillor Greg Kelly that called on the council to work with An Taisce – the current occupants – to get Tailors’ Hall back into full use. Kelly said some musicians approached him a few years back. They “spoke of sessions that used to happen in this”, he said. All kinds of people have links to the building, from James Napper Tandy, in the 1790s, up to Liam Weldon, a singer-songwriter who was instrumental in reinvigorating the folk-singing circles of Dublin, in the 1970s and later. It’s owned by the council who granted a 99-year lease to An Taisce in the 1960s, said the council’s head of planning, Richard Shakespeare. But he thought the council should sit down and talk to An Taisce first. He’d prefer to see a “robust discussion” with developer Martin Keane about the Iveagh Markets around the corner, among other buildings, he said. Shakespeare said the council’s already sat down with An Taisce. They’ve a plan cooking to open up Tailors’ Hall onto High Street, with a paved outdoor area, with a basement restaurant and cafe, he said. “We are actively working with them and trying to help them,” he said. What’s going on, still, with the strange “void” figures – meaning the numbers of social homes that the council has renovated. In the past, the council counted them as “completions” in its social-housing delivery figures. 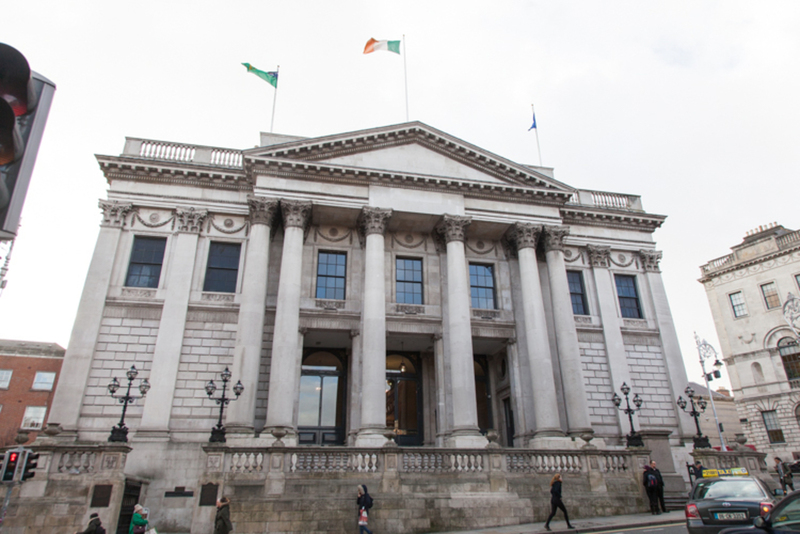 “I don’t think we should be including the refit of our existing stock for a new allocation as a new property,” said Fianna Fáil Councillor Paul McAuliffe, echoing a criticism that many have raised in the council chamber – that it inflates what the council has done. The council’s head of housing, Brendan Kenny, said the council had counted 200 “voids” in its social-housing delivery figures for 2018 as the Department of Housing said it could count that many. The council is allowed to count 51 or 52 this year, said Kenny. “These are all vacancies arising in our stock,” he said – in other words, homes where people have just moved out, or died, being done up before for the next tenant. Why count even those in these figures? Or the 200 before? That capped number is a crude figure, said McAuliffe, adding that the council should just identify long-term voids and only count those. There shouldn’t be council-approved posters in the public domain for two weeks before the date that official postering for the local elections can start, councillors agreed at Monday’s monthly meeting. It wasn’t littering or recycling that some councillors were targeting, it seems. They were aiming to stop candidates from putting up posters for public meetings – and squatting on the best spots on poles to advertise themselves. Not all councillors were for the restriction. Michael O’Brien of Solidarity raised concerns that it was anti-democratic. 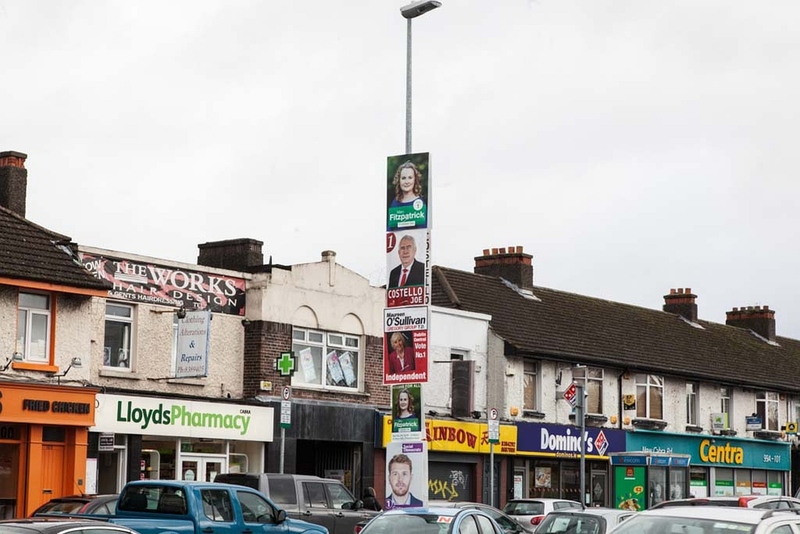 Patrick Costello of the Green Party said it did seem to be changing the rules in the middle of a race, and suggested clearing posters for a day or two before the start of official postering. John Lyons, an independent, suggested that a one-week moratorium might be fairer. “I think the spirit of the motion is a good one,” he said. In the end, most councillors voted for the two-week pause proposed by independents Mannix Flynn and Christy Burke. It’ll be in place from 10 April to the beginning of the sanctioned blitz of posters from 24 April.